If you like this idea, please “Pin” it to Pinterest so that you don’t forget about it and can find it easily when you need it! Join us for our Spring Cleaning Challenge to Organize and Clean for a Thrifty and Healthy Home! Today I am sharing a super simple Homemade Laundry Stain Remover. It is quite effective and I find that it removes most stains. But one thing I wanted to mention about stain removal (just like I mentioned on the homemade stain removal for carpets and mattresses), the sooner you can attack the stain, the better chance you have of removing it. Especially when it comes to removing stains naturally and without harsh chemicals. With that said, I did recently have a situation where I didn’t attack clothing stains immediately and to my amazement, my homemade stain remover did a beautiful job of removing it! Our oldest was wearing this beautiful lace dress (that I bought from ThredUp online gently used children’s thrift store) and we went out to eat. She dumped a whole bunch of ketchup on her dress; as it is very light in color and has 2-layers, I thought it was doomed. I wiped it with a dry napkin, which just spread it more. It was a busy day and so we didn’t get home for several hours, but not only that, she tossed it in the hamper. It was there for a couple of days before I stumbled upon it and realized that the ketchup was sitting there for a couple of days now. So I sprayed it with my solution and then let that sit for a couple of days (instead of washing immediately). Then it was washed like normal (using my homemade laundry detergent) with the light clothes load and I had really forgotten about the stain when I put that load in to wash.
Well, a week ago, our daughter got it out of her closet to wear and she came running up to me to show me that I got the ketchup stain out! This wasn’t my first experience with getting stains out with my homemade version, but it was the first time I was faced with set-in ketchup on a double-layer, delicate, light-colored fabric! So I was actually quite surprised because I didn’t know if it would do it. I have examined this garment so closely to see if I could find any trace of it and NADA! It is completely gone! For every 1/2 cup of Hydrogen Peroxide (I make it in small quantities as I don’t go through it very quickly), just add 5 drops of Lemon Essential Oil in a spray bottle! Then just spray it directly onto the stain and let it set for a few minutes to a couple of days depending on how bad the stain is! Wash your garment like normal after! *Please note: I haven’t had any garments that have faded or ended up with a spot where this was used, however, you should always test an inconspicuous spot to be sure of color fastness. The estimated cost per 4oz. You would be using 4 oz. of Hydrogen Peroxide which is .88 per 32 oz., so this is approximately .11 worth. TOTAL per 4 oz. bottle = .16 – that’s a small price to pay to save your clothes! If you get any of the items on sale, it would be even less! A great, cheap and natural alternative to the harsh chemical cleaners that can do those tough stain removing jobs. To make, just simply add 5 drops of Lemon Essential Oil to every ½ cup of 3% Hydrogen Perdoxide. Spray on your garment and let it set/soak and wash as normal. I haven't had any garments that have faded or ended up with a spot where this was used, however, you should always test an inconspicuous spot to be sure of color fastness. We also HIGHLY recommend that you put this in your home binder along with many more things we will be sharing! 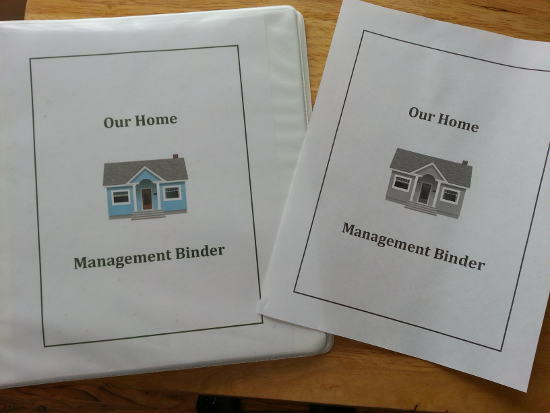 See all of the information on this in our previous post HERE about Put Together Your Home Binder with Free Downloads. Finally, use this new thrifty and healthy cleaning product as part of our Spring Cleaning Challenge. If you want even more ideas too, be sure to visit these links! Shopping list to be able to make 23 natural homemade cleaning products for a very low price tag of $12. And then if you wanted to make them anti-bacterial and anti-viral, we also shared the natural but effective add-ins for much less HERE. Thanks for posting these great money saving cleaners. Is the essential oil just to make it smell better or does it aid in the stain removal process? can i use real lemon? Where do you purchase the lemon oil? where do I purchase the lemon oil ? Have you ever tested this on “greasy” type stains? Not car grease, but more along the lines of coconut oil greasy…. It would be worth noting that tomato is a protein based item. As such it can easily be removed by soaking in hydrogen peroxide. The same goes for blood. I wanted to mix up some hydrogen peroxide and lemon oil for laundry stain removal. I poured the peroxide into a 1/2 cup measure and added the lemon drops. Then I wanted to pour it into an old Shout spray bottle, but I knew the Shout hole was too small to successfully pour from the measuring cup. So I poured the contents of the measuring cup into an old 2 cup tupperware measure that had a pour spout. It worked great! But what I noticed was “fizzing” at the bottom of the tupperware measure. The peroxide and lemon was doing it’s job on the first stain it had encountered!! I rinsed out the tupperware, and it is sparkling clean! Better than if I had bleached it! What a nice surprise!!! Does it have to be lemon or would any citrus essential oil work? I have tangerine on hand but not lemon. Hi Katherine- tangerine may work. It’s the citric acid aspect, which I think all citrus fruits have. But I cannot be certain it will be fine or work because I haven’t tried it yet. If you do, let me know if it worked!